Lennox air conditioners are the most energy efficient products you can buy, and this translates into serious savings on your utility bills. 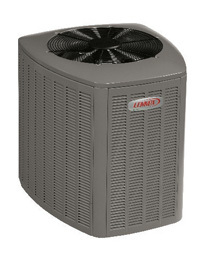 Lennox Home Comfort Systems are designed for energy savings and comfort, and they are built to last. Gandy Installations has air conditioning systems to meet every need: centralized air conditioning systems to cool an entire home, air conditioners to cool a single room or home office and specialized zoning systems to cool specific areas within the home while leaving other areas warm. 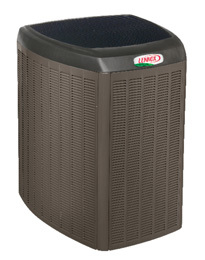 We also have a complete line of water-cooled and geothermal AC systems. We offer free in-home consultations to help you choose the air conditioning system that’s right for you. During your consultation one of our friendly and knowledgeable comfort advisors will discuss your unique situation, suggest HVAC options for you to consider and answer any questions you may have. We do our very best to have your air conditioner installation completed as quickly as possible and can sometimes even offer an AC installation just one day from when your initial call is received. 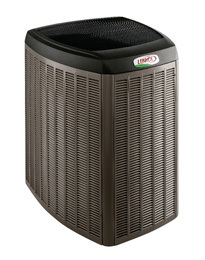 Our air conditioners come with a 10-year parts and labor warranty underwritten by the manufacturer. High efficiency single stage air conditioner! The quietest and most efficient single stage air conditioner you can buy! High efficiency air conditioner with true variable capacity! The quietest and most efficient two-stage air conditioner you can buy! The most precise and efficient air conditioner you can buy!